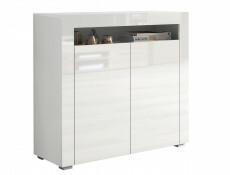 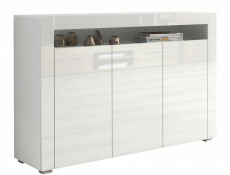 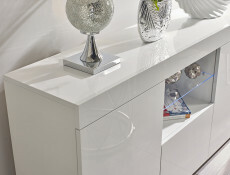 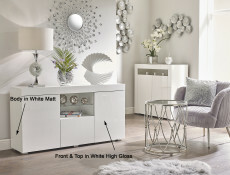 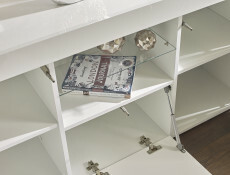 Wide Sideboard Buffet Display Cabinet Lowboard in White High Gloss / White Matt finish with Glass display shelf from modern Lily living room furniture range. 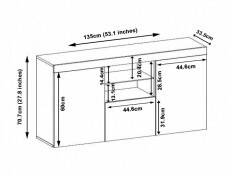 This listing is for a cabinet without lights. 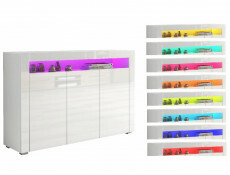 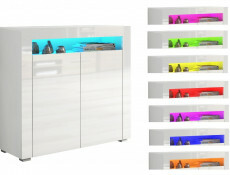 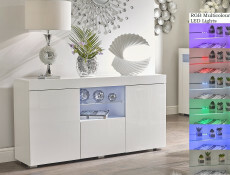 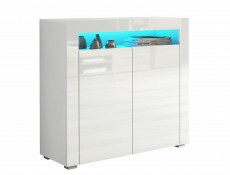 Unit is also available with Blue LED Light or RGB Multicolour Light as an option.